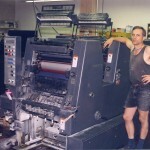 I was a journeyman multicolor printing press operator (mostly Heidelbergs) from 1968 to 2000. 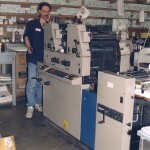 I started as a Printers Devil in 1968 hand setting type for a Heidelberg Windmill press at the Sherwood Press in Olympia, Wa. This shop is still running. 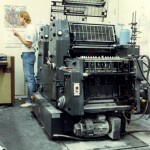 I ended up working for 9 different print shops around Puget Sound. 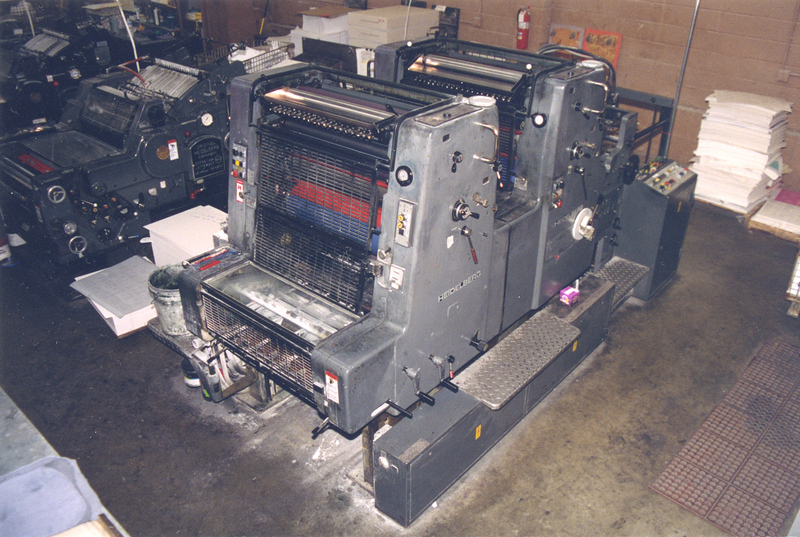 The best press I ever ran was a 4 color Heidelberg GTOV-P with CP-Tronics. 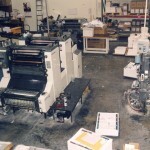 Only a few of the printshops are still operating, I will write up the list later. 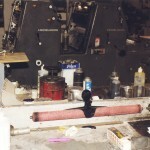 A customer never changes his mind on ink color until after the press is inked. 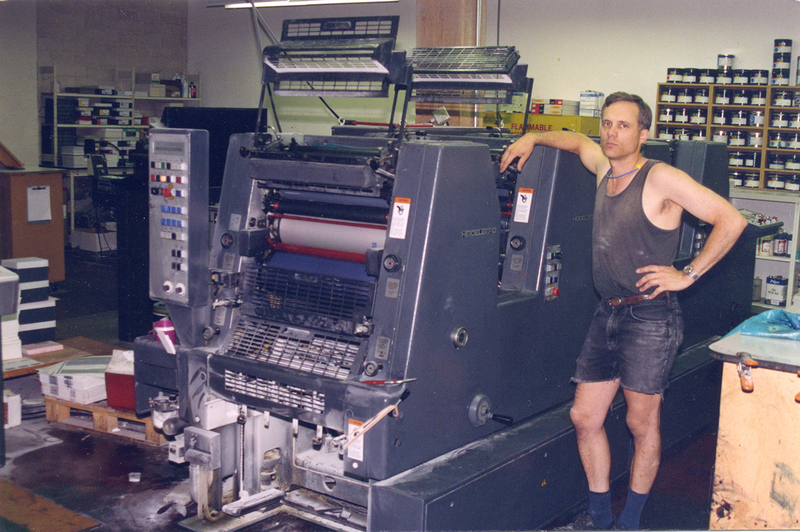 A pressman is only as good as the last job he ran. Pessimism in the pressroom is directly proportional to optimism in the office. Incompetency is an inherent characteristic of all people with authority. Telling the boss “it can’t be done” will insure that you will be given a chance to try. 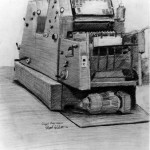 Twin Tower, Southgate Press. 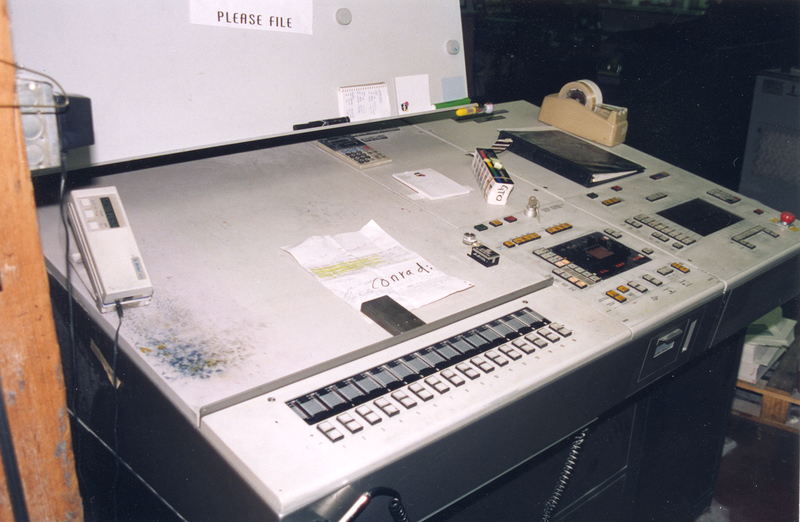 I never got the hang of this machine. If you print a “perfect” job, somebody will always find a typo in it. No matter what goes wrong, never admit fault. If they corner you, lie. Always put your spoilage in somebody else’s garbage can. Coming to work with a good attitude is dangerous and should not be tolerated. On the other hand, chronic bitching is exciting, keeps the office staff in line and prevents ulcers. A wise pressman always puts the good ones on top. When printing multi-colored jobs that are in a “must go today” situation, you can be sure that you will not get the plates until 3 PM. Pressmen who don’t drink simply don’t understand the situation they are in. Ask for a raise at least once a week…you won’t get it, but you will keep them worried. To be a competent journeyman, you must know at least 200 swear words and be able to invent new ones at will. 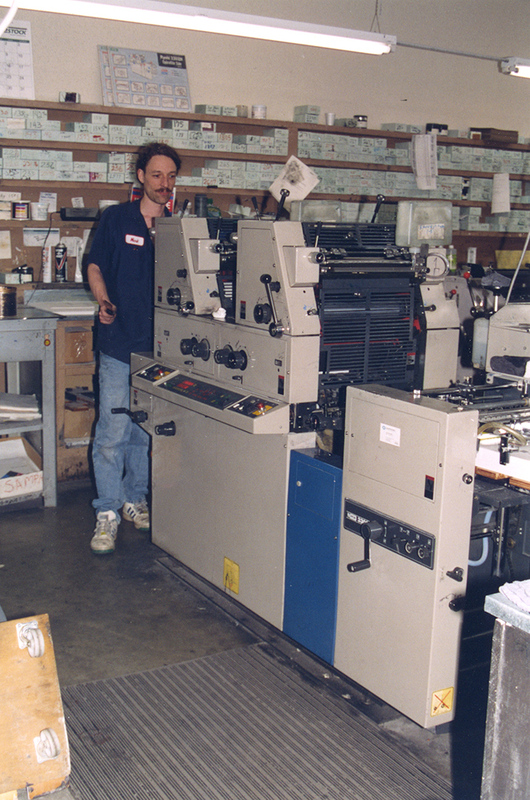 George and his GTOZ at J&D Printing in Tacoma. 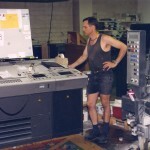 George was one of the best pressmen I ever worked with. 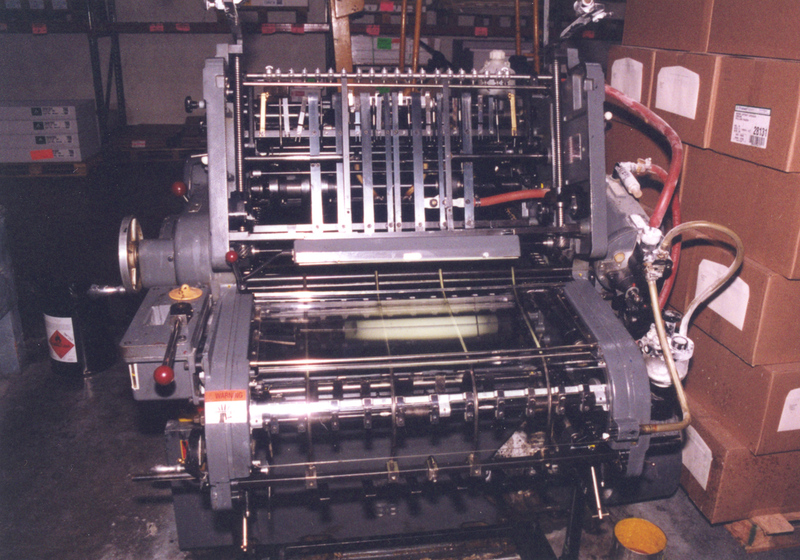 Be wary of a smooth-running press…something is going wrong and it is up to you to find it. 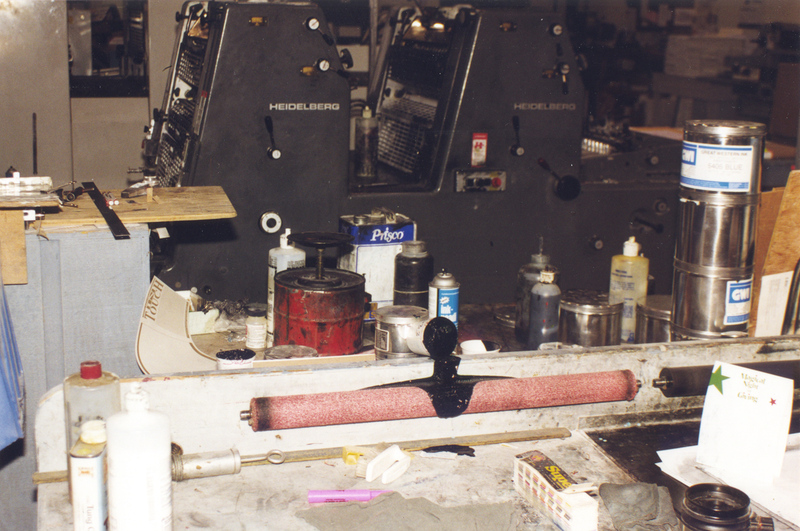 The chances of something going wrong with your press is directly proportional to how far away you are from it. When a customer demands blue ink on his job, you can be sure the color of the stock will be yellow. When muttering swear words in the pressroom, the only people that will hear you will be the customer who is a nun, the boss’s wife or the pope’s brother. 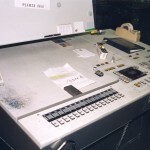 If management fills out a ticket wrong, and you print the job, don’t worry about it- you are going to get the blame, regardless. The best way to insure that your shop will always have an adequate supply of rubber bands, paper clips and scotch tape is to ask the boss for new parts for the press. 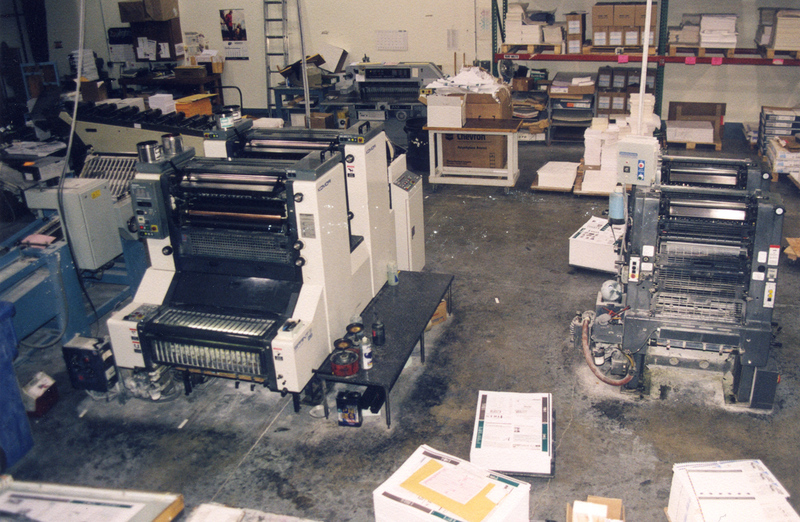 The best place for your company to place its salesman in relation to the pressroom is out of town. If you believe what management tells you, you haven’t been in the trade long enough. When you start a new job and the manager tells you to take the first day to get acquainted with the equipment and company procedure, figure on having ten minutes before they hand you a rush job. Telling the prep department they stripped a job crooked will insure that the next 10 will be. 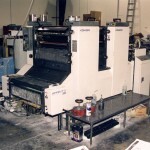 KORD at J&D Printing. I spent more years running KORDs than anything else. Love that old press! When cutting stock and you have no help, it will always be on the bottom. When the customer demands a perfect ink match, their sample will always be on colored stock. You come to work on Monday and the boss says, “This job has to be delivered on Wednesday”, chances are good that you will have a press breakdown, run out of plates, and the stock will be back ordered. When the boss tells you that his son has just graduated from printing school and is coming to work on Monday, you have three choices: Go on vacation, quit, or retire. When the salesman “bounces” into the pressroom and announces that he has just sold an “unbelieveable” job, you can be sure that it will be. If you give the boss’s son three things to do you can bet that he will do one, forget one, and screw the other one up. The only way to avoid a smiling salesman is to lock yourself in the bathroom. If you have been in the trade for more than 20 years and never been fired, you either have the patience of a saint or your boss is dumber than a box of rocks. Color blindness is a disease that affects all artists, customers, and salespeople. If the Graphic Designer who is press checking your job brings her own glass, hide the densitometer. If the customer asks to use your densitometer during the press check, tell her the battery is dead. A “grassroots” pressman CAN always do anything with nothing. 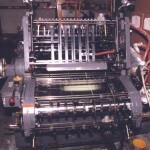 A “factory” pressman WILL always do nothing with anything. 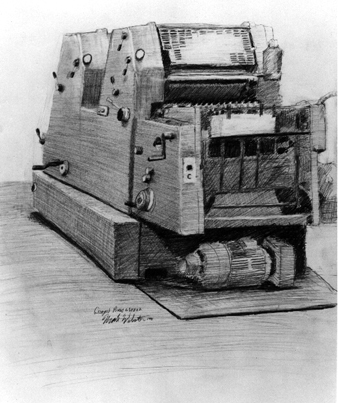 Lunchtime sketch of George’s GTOZ at JnD Printing in Tacoma. 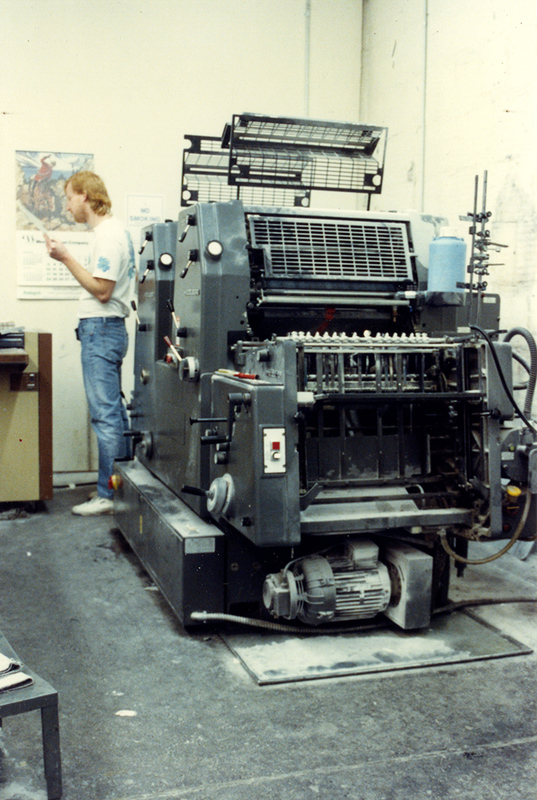 The Silverdale Press, ’86 to ’88. First time running a GTO. 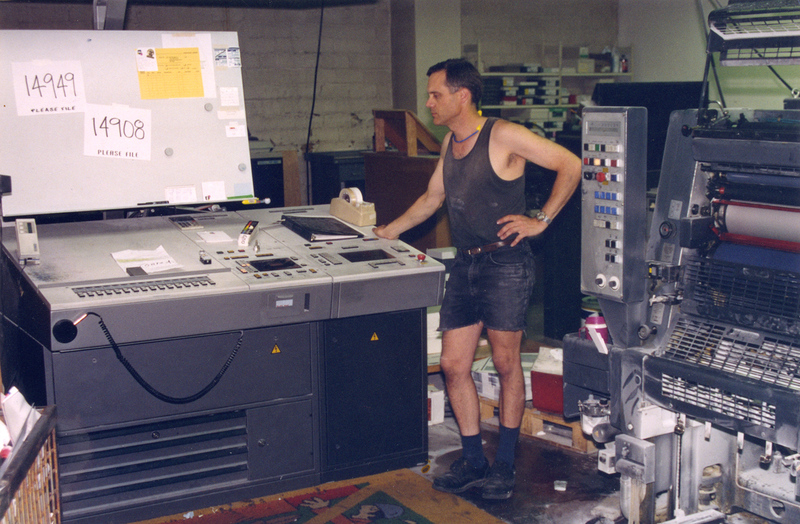 Print Management, Seattle, 1997, 4 color GTOZP-S Stream fed, CPTRONICS. My first and last 4 color. They fired me. 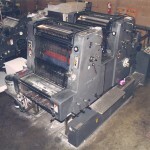 J & D Printing…again. 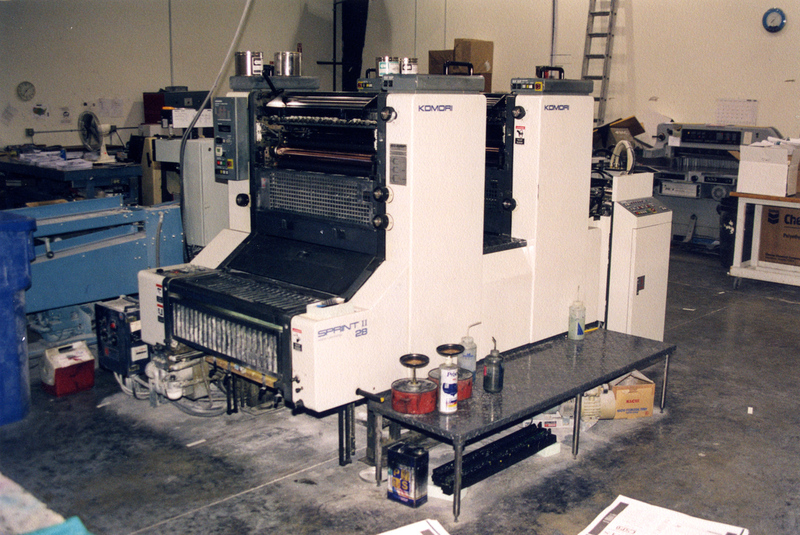 1997 to 2000, KORD, GTOZ, Komori 2 color 28″ perfector.